There has been growing concern over the increased prescribing of opioids as opioid-related deaths across North America have climbed over the last 20 years. More recently, the use of nonprescribed (i.e. diverted or illegal) opioids is thought to have become a major contributor to opioid-related deaths. 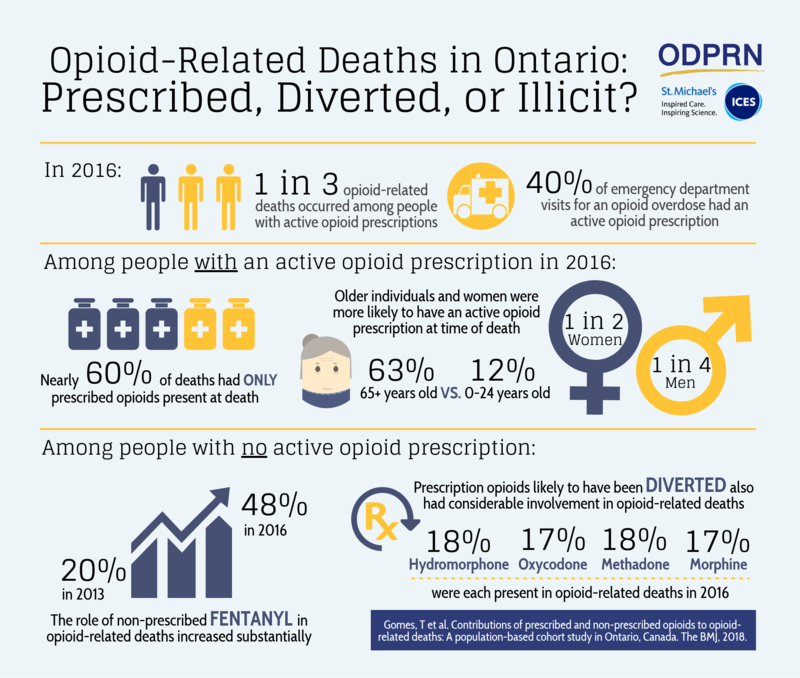 This study describes the contribution of prescribed and nonprescribed opioids to all opioid-related deaths in Ontario.